Summer league crossfitová FitCamp CFT Summer League 2016 is over, but even by competing with will continue. 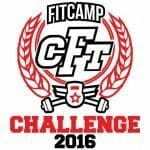 September 17, 2016 will take place the first year FitCamp CFT Challenge will compete with 35 men and 15 women for prize money worth € 1,100! Qualification as well as registration begins 08/01 and will last until 21.08 The registration fee is € 10. FitCamp CFT Challenge 2016 will take place on 09/17 in the area FitCamp on Drieňová Bratislava. 8 to 31 will be released a list of the best 35 men and 15 women who gather for the great finale. The entry fee is € 20 and this amount must be paid within 08/09 All competitors will receive a package of T-shirts and refreshments are provided throughout the day.